See scan - perfect mint condition. 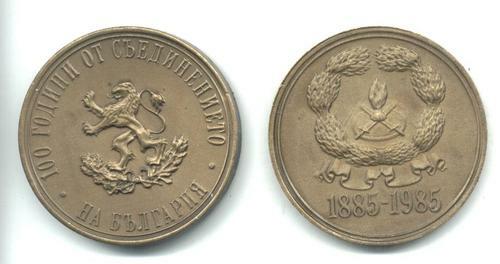 This is a nice and rare communist / socialist era Bulgarian bronze medal to commemorate 100 years of the Union between Principality of South Bulgaria and East Rumelia that formed modern Bulgaria in 1885 under the rule of King / Prince Alexander I Batenberg. Nice militaria / military collector piece and one of the nice Bulgarian medals. Diameter is 34 mm.